The Toyota Corolla is known as a dependable vehicle at an affordable price. You can make driving one even more affordable by purchasing a used Corolla. These fuel-efficient and reliable compact sedans are available at Toyota of Slidell, serving North shore Area and the Gulf Coast Area in LA. You should come to expect a high level of fuel efficiency when you buy a used Corolla, but there are many more desirable standard and available features on Toyota’s iconic compact car. Every Corolla is equipped with an efficient 4-cylinder engine, with your choice of automatic or manual transmission. A few of the many convenience features include remote keyless entry, air conditioning, power windows and door locks, tilt steering wheel, power-adjustable outside mirrors, a theft-deterrent system and an AM/FM/CD audio system. For even greater assurance when purchasing a durable used Corolla, consider getting into a Certified Pre-Owned (CPO) Corolla from Toyota of Slidell. To reach Toyota Certified Pre-Owned status, a used Corolla will never be more than seven model years old, and it will have fewer than 85,000 actual miles on the odometer. Toyota CPO vehicles must also pass a 160-point inspection and CARFAX Vehicle History Report review by Toyota technicians. Buying a CPO Corolla at Toyota of Slidell should be a no-brainer! But that’s not all. Every Toyota CPO vehicle gets a 12-month/12,000 mile comprehensive warranty and a 7-year/100,000 mile powertrain limited warranty with $0 deductible for covered repairs. You also have the option to purchase an upgraded Certified Vehicle Service Agreement. The Certified Gold package comes with 7-years/100,000 miles coverage for powertrain components, more mechanical systems and components, Roadside Assistance, and Travel Protection. Step up to the Certified Platinum package and you’ll get 7 or 8-years/100,00 or 125,000 miles comprehensive coverage of all major vehicle systems and components, Roadside Assistance, Travel Protection, and a $0 deductible for warranty service claims. Visit the Toyota of Slidell website, where you can get pre-approved by filling out our simple and quick finance application. If your credit score isn't the best, don't fret! Our dedicated Finance team works with multiple lenders to get you the lowest auto loan rate for your used Toyota Corolla purchase. 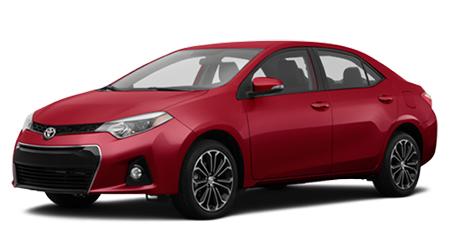 If you're in the Mandeville, Metairie, New Orleans, Covington, Lacombe, Pearl River, or Slidell, LA area, you know where to go to find a quality, used Toyota Corolla. Our showroom is located at 300 E Howze Beach Rd, in Slidell, LA. Come see us today, or visit our website to view our inventory of quality used vehicles.